This report unites the results of the studies conducted in 2016‐2018. 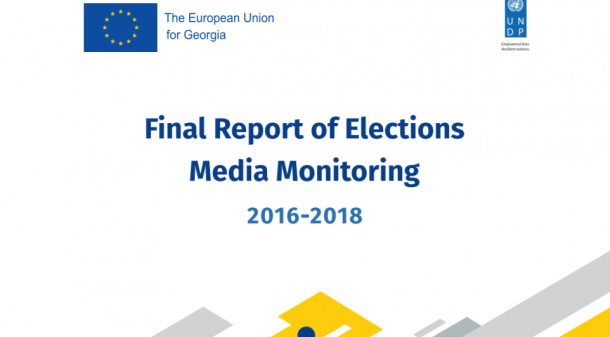 The report presents how the coverage of electoral processes in different types of media outlets has been changing during these three years and describes the key challenges of the media. TV stations are important actors in the pre‐election period. The form and manner in which the electorate receives information about election candidates depends on their editorial policy. The observation of talk shows and news releases over the course of years made it clear that since 2016 the polarization has been increasing ‐ television was becoming bipolar. One part of the broadcasters was biased in favor of the Govt’ and the other in favor of the Opposition. In 2018 this polarization reached its peak, especially during the 2nd round. In 2016 and 2017, the partisan approach was expressed in the positive coverage of a candidate, while in 2018 the bias was revealed in the negative coverage of unwanted candidatesthat was accompanied with cases of violation of professional ethics and manipulation with facts. On one side there was Rustavi 2 involved in the negative coverage of Salome Zurabishvili, the candidate supported by the ruling party; whereas on the other side there were Imedi, Public Broadcaster and Obiektivi, involved in negative coverage of Grigol Vashadze. For three years Rustavi 2 has been sharply critical of the government and the ruling party. 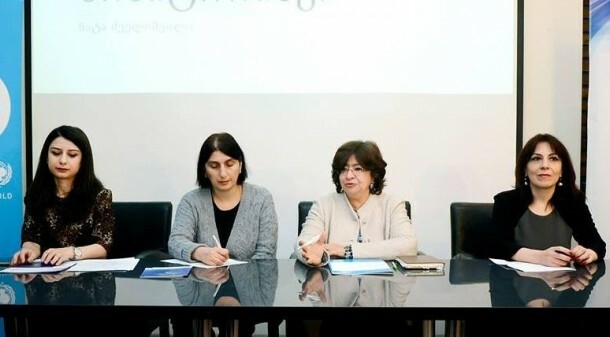 During the presidential elections of 2018, it got openly involved in the campaign against Salome Zurabishvili. Contrary to that, the editorial policy of Imedi was directed against National Movement’s candidate Grigol Vashadze. In 2016 and 2017, the partisan editorial policy of Imedi was revealed in the loyalty to the government, and unlike 2018, it was not oriented towards discrediting anyone. 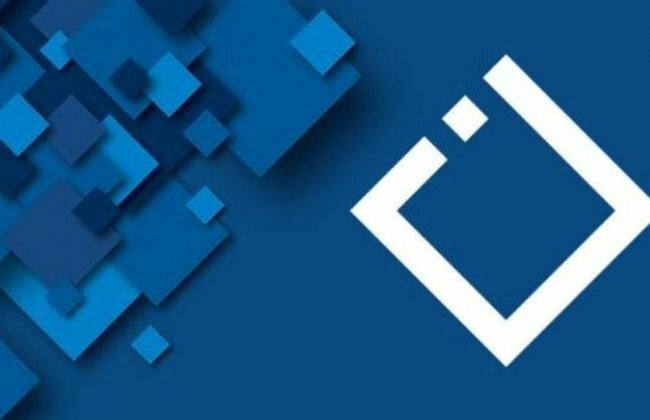 In 2017 and 2018 the editorial policy of GPB was similar to that of Imedi TV. It was not critical of the government, and in some cases it voiced the narrative desirable for the ruling party, positively presenting the government. If no significant bias was revealed on the channel in 2016, in 2017 and 2018 the negative coverage of the opposition and the positive coverage of the ruling party has increased. Furthermore, the talk shows where candidates had to answer tough questions disappeared from the channel. The opposite tendency was noted on the Ajara Public Broadcaster. Compared to 2016, in 2017‐2018, the channel established itself as an impartial broadcaster, but the in‐depth coverage of the events remained a problem. In this polarized environment, TV Pirveli has been trying to establish itself as an imprtial broadcaster. No particularly biased coverage of any election subject was revealed on this channel. The TV stations have been providing less and less space for discussion. In 2016 a lot more programs were devoted to the debates among candidates and their supporters; thus, more information on their vision was provided to the audience. During the 2018 presidential elections, most of the channels did not even air any debates. In general, this year's coverage was distinguished by the fact that the elections were not the main topic of discussion, especially in the pre‐election period of the first round, and were overshadowed by other ongoing events. 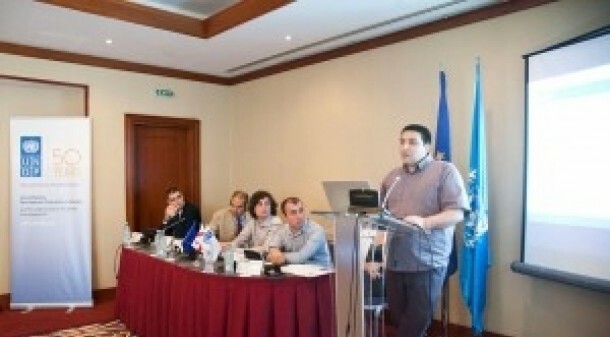 In general, in‐depth coverage of current events and low‐quality analysis in talk shows remains a challenge to Georgian TV media. Most of the broadcasters find it difficult to select topics, identify problems, research them and offer their own agenda to the audience. The topics are discussed a bit superficially in talk shows which prevents the viewers from getting comprehensive information, analyzing the vision of the candidates and taking an informed decision on the voting day. In 2016‐2018 a positive trend was observed in terms of decreased usage of hate speech, especially in news programs. It seems that the broadcasters were trying their best not to be the source of dissemination of such expressions. The media monitoring of the 2018 presidential elections is being implemented within the frameworks of the UNDP project Media Monitoring for the 2018 Presidential Elections, with the support from the European Union. The Civic Development Institute – the monitoring of print and online media. Within the frameworks of the study, the organizations are monitoring the coverage of election subjects on 37 media outlets.This report combines the primary findings of the ongoing study and describes the key trends of coverage during the given period (June 18 – August 31). The report does not explore the coverage of each media outlet one by one; rather it aims at providing analysis of key findings that have been revealed as a result of the first monitoring stage. 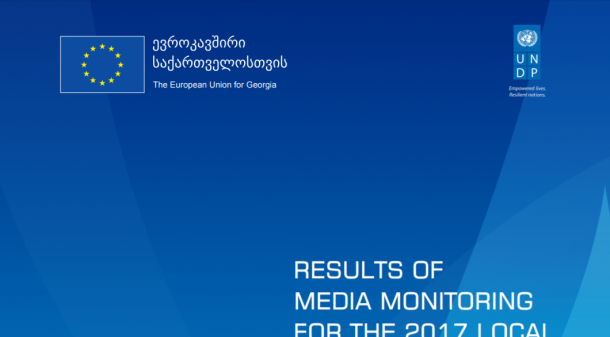 The final report of the research which examined media performance during the 2017 Local Self-Government Elections in Georgia. The monitoring covered 60 national and regional media outlets and provided the quantitative and qualitative information on election reporting, cases of bias, discrimination and hate speech. 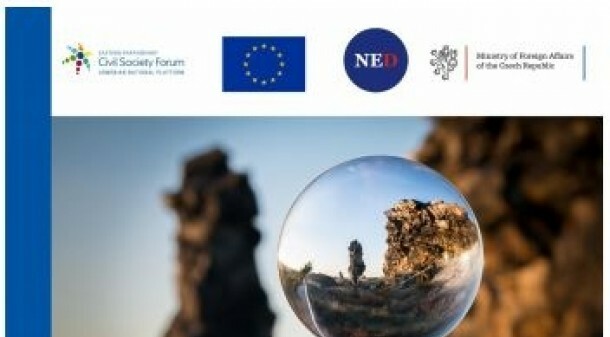 Supported by the European Union (EU) and United Nations Development Programme (UNDP), the election media monitoring was carried out by the three Georgian civil society organizations – Georgian Charter of Journalistic Ethics, Internews – Georgia, and Civic Development Institute (CDI). Georgian Dream, and Local and Central Governments were allocated most of the time, based on the data of all monitored channels. In the previous years Government was allocated most coverage time on majority of channels. The tendency is different in these elections. The aggregated data of six 6 months shows that on six out of 14 channels most time was allocated to the Georgian Dream. The Georgian Dream was most positively covered by the First Channel of the Public Broadcaster, with 6% of the time allocated to it. Among the regional channels Georgian Dream was most positively covered by Gurjaani with 18% of the time allocated to it. The Georgian Dream was covered most negatively by Rustavi 2 (45%) from the central channels and by Odishi (54%) from the regional channels. The majority of regional channels allocated most time to Local Government. The Local Government was covered most positively on TV company Gurjaani, with 13% of the time allocated to it; most negatively on Rustavi 2, with 51% of the allocated time. Among central TV stations, the Government was covered most positively by the First Channel, with 9% of the time allocated to it. From regional channels, Gurjaani was leading by 25% in positive coverage of the Government. The Government was covered most negatively by Rustavi 2 (52%) from the central channels and by Odishi (47%) from the regional channels. Among the parties, the Georgian Dream was allocated the most time. The National Movement and European Georgia followed it. National Movement had the most positive coverage on Rustavi 2 (7%) among the central channels and on Gurjaani (20%) among the regional channels. From the central channels Obiektivi (80%) covered the National Movement most negatively. As for regional channels, it was Ajara TV (11%). If other channels covered the central and local Governments and the two major parties (National Movement and Georgian Dream) most frequently, TV company Obiektivi was the only channel where Alliance of Patriots had most coverage, as well as the highest indicator for the positive tone (12%). The most critical coverage towards authorities was demonstrated on Rustavi 2. Critical reporting on the Government was most present on Rustavi 2, compared to other channels. Rustavi 2 expressed evident sympathy towards the National Movement and its mayorship candidate. First Channel of the Georgian Public Broadcaster and Imedi TV were characterized by a soft, modest reporting towards the Government. The editorial policies of these two channels have come significantly closer after elections. In some cases, they prepared similar loyal reports towards the government. The TV company Obiektivi is distinguished by biased reporting in favor of the Alliance of Patriots and its mayorship candidate. Compared to the previous year, the cases of hate speech and inappropriate language in news programs have sharply decreased. Lack of in-depth election reporting that would help voters in making informed choice remains a challenge for almost all the channels. The news programs were not always regularly broadcasted on regional channels. In cases, the schedule of programs was inconsistent and sometimes there was no news program for several days. This tendency continued after the first round of elections. Some regional channels used materials prepared by press offices of governmental agencies without clear indication of their origin. The advertising content was detected in news programs of several regional TV channels, which is inadmissible. Talk shows were dedicated to presentations of the election subjects rather than discussions. Hosts acted exclusively like moderators. Their questions were not related to visions or election programs of candidates. Accordingly, audience could not obtain information on how relevant were the promises of politicians and whether their problems would be eliminated in case of their fulfillment. Unlike 2016, national broadcasters offered the audience strictly structured talk shows, which hosted all qualified election subjects. Accordingly, criteria for invitation to the talk shows were clear. During these programs, major attention was paid to the format and not the content. Hosts were rather passive. They only gave general directions for conversation and did not ask follow-up questions even when candidates went off-topic. Broadcasting Company Rustavi 2 has not invited Tbilisi mayoral candidate from Movement of Development. Broadcasting Company Imedi has not invited Tbilisi mayoral candidates from Movement of Development and Labor Party for debates. The journalist stated that Labor Party candidate was not invited due to the offensive statement made regarding Imedi. However, journalists are often subject to criticism of politicians and this shall not influence selection of respondents, especially during the pre-election period. At three channels, which cover entire Georgia - Rustavi 2, Imedi and Public Broadcaster, Tbilisi mayoral candidates had to make similar statements. This occurred because the hosts did not ask critical, evidence-based questions on election programs. Instead, the hosts asked the candidates to share their opinion on variety of topics, which they had done many times previously, both on TV talk shows and in election commercials. Superficial questions and lack of preparation were even more obvious when knowledgeable and/or well-prepared respondents and experienced politicians were invited. In some cases, political party candidates were invited to the program in a different capacity: musician, journalist and etc. The audience was not informed that they were candidates as well. Girchi representatives were invited to programs particularly frequently. They expressed their opinions as experts, while other political parties were not present. Broadcasters mainly paid attention to the first round of elections. Upon its completion they evaluated the results. Second round of elections and participating candidates were not given attention in talk shows. Discussions between the candidates participating in the second round were not held at any regional channel, including those where competition between the candidates of the second round was fierce, for example, in Ozurgeti. In between the first and the second rounds of the 35 elections, Guria TV’s talk show was broadcasted only once and only representatives of local Assembly were invited. In this regard, Trialeti was an exception, as it hosted Khashuri mayoral candidates participating in the second round of elections. National broadcaster Obiektivi has allocated significant attention to the second round of elections in Borjomi. Alliance of Patriots has made it to the second round of elections in Borjomi and this must have been the main reason of interest for Obiektivi. In total, 91 representatives of this party have participated in the program, while only 8 representatives of other parties have been invited to the show. From 8 representatives of other parties, 3 had joined the show via phone as they were not present at the studio. Also, the program was used to mobilize people to the demonstration organized by the Alliance of Patriots. The program was full of anti-western and anti-Turkish rhetoric, hate speech, offensive vocabulary and unanswered allegations against opponents. Apart from Obiektivi, hate speech has been observed in case of several other channels. However, it was mainly used by the respondents. The reaction of hosts was critical and adequate. In some cases, hosts contributed to strengthening gender stereotypes. Number of regional channels have completed programs commenced during the pre-election period upon completion of the first round of the elections; some talk shows were aired without a consistent schedule. Broadcasting companies Gurjaani and Odishi are exceptions, as they did not offer talk shows to the audience with consistent schedule. Gurjaani aired talk show with invited candidates only once and “Odishi” twice. However, the hosts acted as a moderator and tribune was given to the candidates. Regional broadcasters still had significant technical issues related to voice, visual side and branding. All these issues, along with content related problems made programs less attractive to the audience. 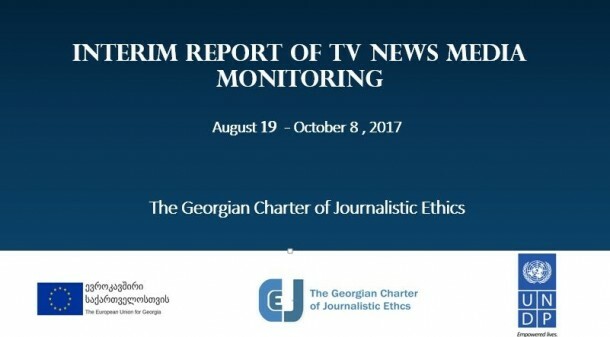 The Georgian Charter of Journalistic Ethics is implementing the monitoring of TV news programs for coverage of the 2017 Local Government Elections within the framework of the project Study and Research on Election Media Coverage for 2017 Local Government Elections in Georgia supported by the European Union (EU) and the United Nations Development Programme (UNDP). 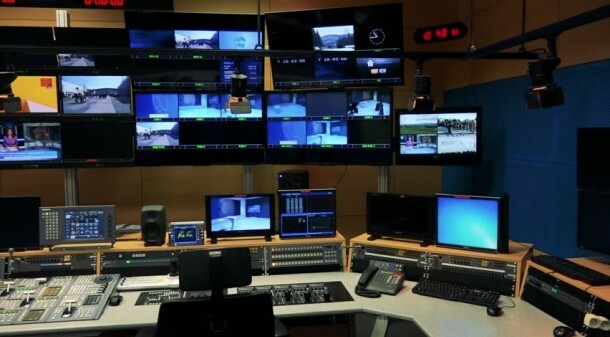 The monitors had been observing the news releases of the 14 TV channels in prime time. The monitoring had been carried out on the following TV channels: The Public Broadcaster, Rustavi 2, Imedi, the First Channel, Obieqtivi, Ajara TV, Channel 25, Rioni, Gurjaani, Guria, Kvemo Kartli, Trialeti, Odishi and Ninth Channel. Five of these TV channels are national and nine are regional. This report reflects quantitative and qualitative analyses of the major news programs during the period of June 19 through October 8. Local and central governments were covered the most. The local government was covered most positively by Guria TV with 19% of positive tone indicator. Rustavi 2 was the most critical of the local government with 49% negative coverage of the allocated time. The central government was most positively covered by Gurjaani TV (29%) and most negatively by Rustavi 2 (46%). Most of the time among the political parties was allocated to the Georgian Dream, with the National Movement and the European Georgia following. The Georgian Dream was most positively covered by Gurjaani TV (24%) and most negatively by Rustavi 2 (40%). The National Movement was most positively covered by Gurjaani TV (30%) and most negatively by Obieqtivi TV (66%). All TV channels allocated the most time to central and local governments and the two major political parties (Georgian Dream and the National Movement). However, TV Obiektivi was an exception. It devoted almost the same amount of time to the political party Alliance of Patriots and the Georgian Dream; the party also had the most positive coverage on this TV channel (9%). Rustavi 2 was the most critical of the local and the central governments. This was also revealed in qualitative analysis. Critical stories were most frequently broadcasted on Rustavi 2. However, apparent sympathy towards the National Movement and its mayoral candidate was demonstrated on Rustavi 2. The Public Broadcaster and the TV Company Imedi were characterized by soft approach towards the government with no strong watchdog function demonstrated. The Ajara Public Broadcaster was outstanding in terms of observing ethical principles and impartiality. TV Company Obieqtivi was distinguished by the biased coverage in favor of the Alliance of Patriots. Hate speech and inappropriate language was much less frequently used in the news programs compared to the previous years. Obieqtivi was the only TV channel where the xenophobic content was detected. As in the previous years, in-depth coverage on issues related to elections, that would help voters in making informed choice, was lacking on almost all the channels. Compared to the previous year, reporting was more balanced and fewer violations were detected in this regard; however, the so called short footages with sound bites were not always balanced. The news programs were not always regularly broadcast on regional channels. In cases, the schedule of programs was unstable and sometimes there was no news program for several days. The regional channels often used video materials prepared by the government press offices without any clear reference to their origin. The regional channels have technical problems, including the low quality of voice and footages; absence of titles also remains a problem. 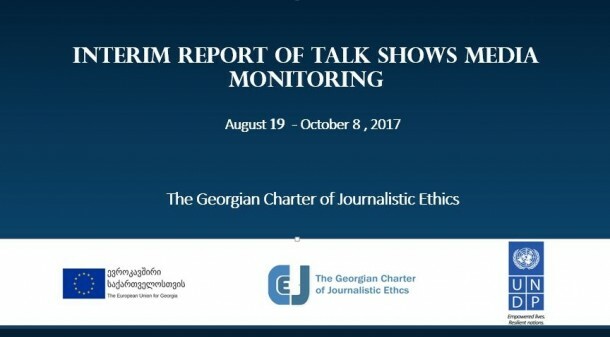 The Georgian Charter of Journalistic Ethics is implementing the monitoring of talk shows for coverage of the 2017 Local Government Elections within the framework of the project Study and Research on Election Media Coverage for 2017 Local Government Elections in Georgia supported by the European Union (EU) and the United Nations Development Programme (UNDP). Unlike 2016, national broadcasters offered a strictly scripted talk show where all qualified election subjects were invited and therefore the criteria of inviting guests to the program was clear. If any of the candidates did not attend the program, the hosts were informing the audience about it. In almost all cases, the balance between the guests was preserved. In the talk shows, where the time was strictly defined for the candidates to present their vision and opinions, the focus was on the format of the program and not on the content. The proposed format looked more like the presentation of candidates rather than a typical talk show. However, this format contributed to equal distribution of time among the reposndents. Apart from a rare exception, every candidate was provided equal opportunity to present their campaign promises to the public, but there was less critical discussion of the election programs. In general, the questions of the TV presenters were very broad and did not derive from a specific election program. The hosts did not ask critical and counter questions, so it remained unclear for the voters whether the campaign promises of candidates were realistic. As during the 2016 elections, broad questions were asked, such as: "What do you promise to the voters? What problem will you solve first? How many mandates are you going to take in elections?" This enabled the respondents to lead the discussion into the direction convenient to them. The problem of the qualification of the TV presenters was particularly noticeable on the regional channels, where there were practically no critical questions asked. In general, regional broadcasters have significant technical problems related to the voice, visual side, packaging of the program. These problems make the programs less attractive to the audience. Several cases of hate speech were observed, but such was mainly used by the respondents. The hosts often reacted adequately. There was one case when the host contributed to strengthening gender stereotypes. The TV company Obiektivi is different from any other channels. Its program - "Night Studio" is a platform for the political party Alliance of Patriots. The program mostly hosts the party members. 48 representatives of Alliance of Patriots visited the "Night Studio" during the monitoring period and only one of the other qualified subjects were invited to the program. The program is full of anti-western and anti-Turkish rhetoric, hate speech, insulting vocabulary and unanswered allegations against opponents.